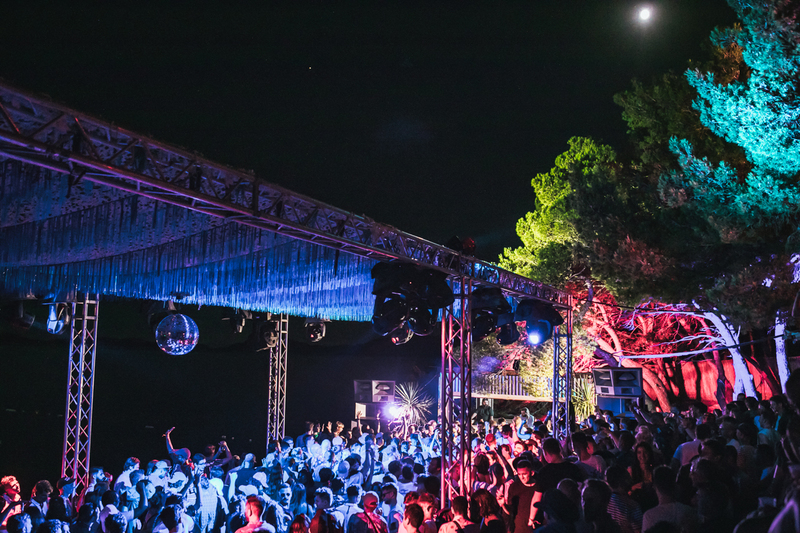 We have announced our initial 2019 artists lineup and so thought we should go into detail about some of the faces that will be joining in Tisno in 2019. Next up, Harry – aka Midland – is a Love Int icon, with his genre-weaving and joyous back to back sets bring a raw sense of abandon each time, whilst Shanti Celeste is a veteran in four to the floor dance music, cultivating house, techno, garage and electro classics. Beautiful Swimmers’ cult following savours their richly textured odysseys, through to Love Int faves Horse Meat Disco bringing buckets of dazzling disco and amped-up house, to a techno innovator of sublime electronic beauty, Call Super. There’s a debut from Nicholas Lutz, whose sets deep with rich detail, and Ivan Smagghe is a DJ’s DJ pure and simple, making a very rare Croatian appearance. DMX Krew has over twenty-five years of electronic music innovation, a prominent artist on Aphex Twin’s legendary ‘Rephlex’ imprint and also the founder of both Breakin’ Records and Fresh UP. is a key figure in Amsterdam’s underground music and makes his debut. Rinse FM’s Josey Rebelle is a Sunday morning purveyor of quality electronic music and hangover; she joins the dots between house, techno, disco and more, and Powder is a Love Int legend in the making after her boat party performance. Then four further debutants line up: Lithuanian native Manfredas is behind the seminal Smala party at Opium Club; CC:Disco is a Melbourne native channelling modern soul, house and boogie; Ciel is a DJ, producer, radio host, creator of Toronto’s Work in Progress party series, and co-founder of collective It’s Not U It’s Me; Justin Cudmore is a stalwart of the Wrecked, Queen!, Horse Meat Disco, Hot Mass and Club Toilet parties, and a member of the NYC Bunker Crew; and Willow is one of the most compelling producers to arrive in the last few years. Finally Gatto Fritto is back, the esteemed curator of the first Sound Of Love International compilation released earlier in the year.